Orange blossom mate - Monsieur T.
Here’s a great idea: combine the fresh taste of orange blossom with the spicy and smoky flavor of mate. That's what you'll find in this brew of roasted green mate, licorice root, orange blossom and orange peel. But there’s more: Mate is known for its energizing properties and to help withstand the winter temperature. 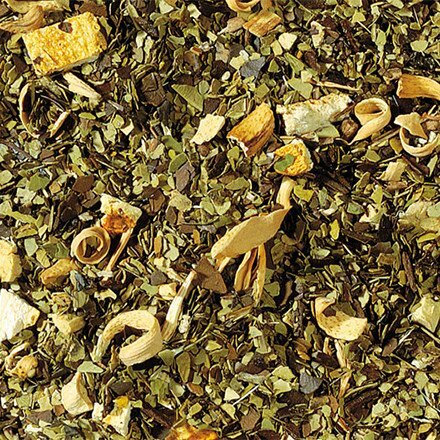 Contains: Green and roasted mate, licorice roots, orange peel, orange blossom, natural flavors.